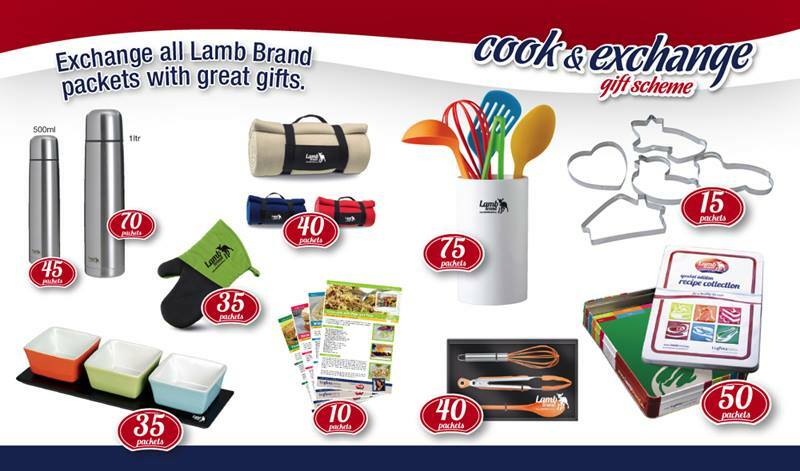 Lamb Brand will be launching new gifts for the Cook & Exchange Gift Scheme for Easter! This time we are offering a wider range of colourful gifts to choose from! So do not forget to collect the proof of purchase found on each Lamb Brand product and redeem them for great gifts. 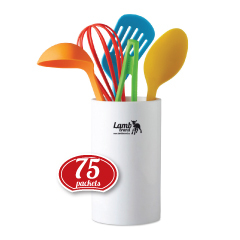 With 75 Proof of Purchase (or packets) you get a nice jar with five colourful plastic utensils. 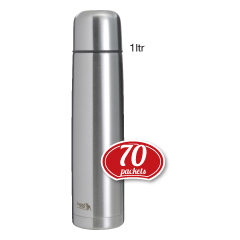 With 70 Proof of Purchase (or packets) Lamb Brand is offering you a double wall stainless steel 1 Litre flask. 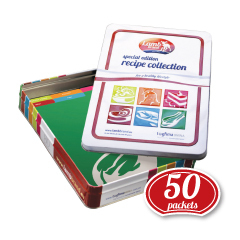 For 50 Proof of Purchase (or packets) you get a Special Edition Tin Box containing 50 recipes. 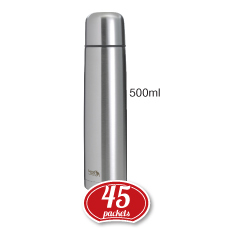 With 45 Proof of Purchase (or packets) Lamb Brand is offering you a double layer stainless steel 500ml flask, inclusive of a PVC pouch with handle. 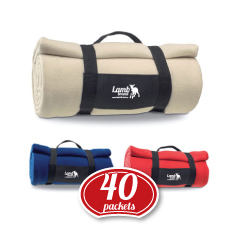 For 40 Proof of Purchase (or packets) you will get a 100% fleecy blanket measuring 130x150cm, ideal to snuggle up on the sofa to keep cosy and warm or simply keep it handy for picnics or any other outdoor activities. We have three colours to choose from beige, red or blue. Also for 40 Proof of Purchase (or packets) we are giving away a cool orange silicone kitchen set, consisting of a spoon, egg whisk and tongs! 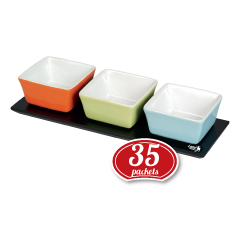 For 35 Proof of Purchase (or packets) you can get this colourful Trio Bowl Set, ideal to serve dips or snacks measuring 28.5x9.5x5.5cm. 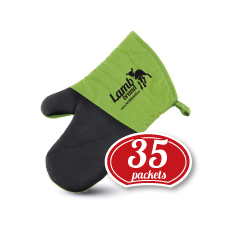 Also for 35 Proof of Purchase (or packets) we are offering a useful green oven mitten in cotton material having one side in rubber material for a firmer grip. 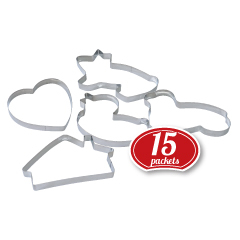 With 15 Proof of Purchase (or packets) you will get one from our five different Figolli cutters. 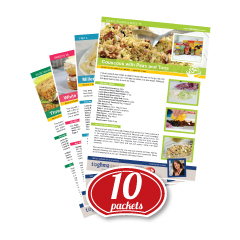 With 10 Proof of Purchase (or packets) you can get a pack of 4 recipes to be added to your recipe box. And this is not all, this Easter Lamb Brand is giving away a free 10 packet token which is found on our Easter leaflet that is being distributed in all leading supermarkets, food stores and grocers. So ask your shop attendant for a free copy.